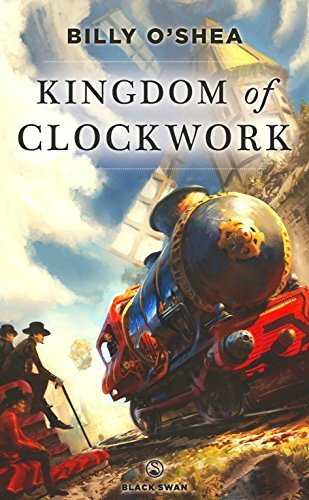 Kingdom of Clockwork is, you realise after just a few pages, not set in the past as it first appears, but set in the future, after the fossil fuels run out. It’s a steampunk novel in a speculative era when coal powered steam is not an option. The story is driven by political machinations, as clockmaker Nielsen finds himself lured into the plots and schemes of his king. The king in question may in fact be mad. The story itself rattles along to good effect, taking the reader in directions I think most people won’t anticipate. The surprises are delights rather than feeling like rabbits out of hats. Each new twist and turn builds a greater sense of how this future world works. The main character and first person narrator, Nielsen, is an innocent out of his depth, and thus able to take the reader with him easily. He’s also a clockwork geek. Now, I’m not a technically minded person and if asked, would have said that the fine details of clockwork would not intrigue me. However, the clockwork in the story I found totally engaging and it really drew me in. It’s very well written. Charming though the plot and characters are, what made this book a standout for me is the way the author uses the future to speak to the present. In this imagined future, much information has been lost about the Age of Electricity. The way in which the history is talked about, re-imagined, feared, mythologized and misinterpreted is wonderful. There’s lots to think about here in terms of how we imagine the past – a very Steampunk concern as well. Billy O’Shea is able to look at our present from a perspective that is truly alien to it – a real feat of the imagination. It enables him to write about how things are now in a way that casts it all in a very different light. His future people do not share our ideas, values and beliefs, but they are influenced by them, and living in a civilization that follows ours. I can’t say too much or there will be spoilers, but I thought this aspect of the book was total genius. This is a story you can read for the plots, devices and epic adventures – it has much to offer on that score. If you’re the kind of reader who loves layers and extra things to ponder, this is a good book to get your teeth into. I shall be reading the rest of the series if I can – this one stands alone, but it opens up plenty of possibilities for future tales. Old Haunts is the second Alan Shaw book by Craig Hallam– I reviewed the first one here. Book two takes the same sort of format as the first instalment, with a series of action orientated stories with a distinctly steampunk vibe. 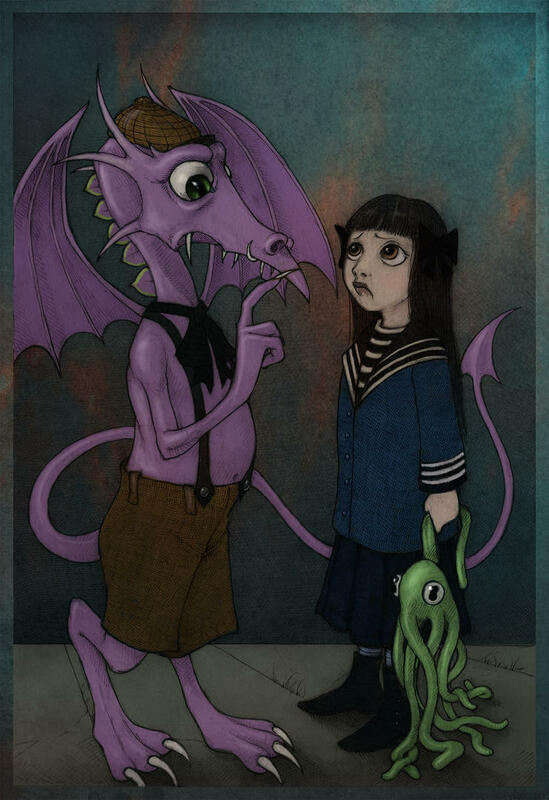 There’s fiendish devices aplenty, unspeakable magic (often combined with the fiendish devices) Lovecraftian monstrosities, flying machines and steam powered everything. The main character, Alan Shaw, is clearly an adrenaline junkie, and volume two sees him taking jobs as a privateer, sometimes doing despicable things for Queen and country. Alan isn’t keen on British Imperialism, but he likes being paid to not quite get himself killed, so this is a moral dilemma he’s trying to navigate. He’s a considered dismantling of the macho hero archetype, and this particularly interests me with Craig’s writing. The classic action hero fights his way through, and may be the last person standing at the end of the book or film. Lovers, comrades, employers and enemies are all there to provide backdrop in the normal scheme of things. It is this habit of thought that the Alan Shaw stories particularly subvert. People don’t die all the time to give the hero motivation. He co-operates, he doesn’t kill people all the time and when he does occasionally kill, he feels it keenly. His life is full of consequences and responsibilities, he has relationships with people. This is key, for me. Action heroes don’t really have substantial relationships in the normal scheme of things. Alan Shaw does, and he feels his attachments keenly and they shape his life. The underlying themes for me were very much about consequences. What the main character does, for good and ill, stays with him. Sometimes it follows him around, wanting help, or revenge, or explanations. He doesn’t get to blow things up and move on to the next story, all possible baggage burned away before the next round starts. He’s not a man alone, he needs friends, lovers, family. Sometimes he needs rescuing and looking after. Background characters don’t have to be daft, or weak or vulnerable to make him look good, either. I like this book greatly because the hero is not your standard issue cool and capable man alone, but a far more interesting and complex human. Amster Damned, by Nils Nisse Visser is a steampunk novel and clearly the start of a series. The author and I were recommended to each other by a fellow reviewer. I love how this stuff works. The main action in this tale takes place over a very short time frame, as private detective’s assistant Miss Kittyhawk is in Amsterdam on a missing person’s case. 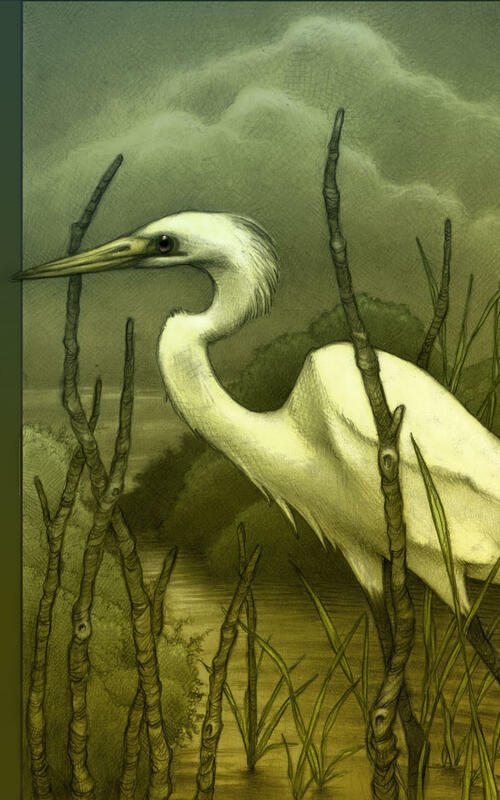 We’re offered an initial setup that looks mysterious enough – the case of the missing botanist – but as a few days of plotting and dramatic escape unfold, it turns out there’s a lot more to it. Now to try and review without spoilering! As the main drama plays out, we get details of Miss Kittyhawk’s back story, and she is certainly not as she first appears. There’s smuggling in her family background, and social unrest in her social background and rebellion against the state in her heart, but the state seems to be trying to recruit her, so that’s clearly all going to go well in future books! The world building around the action-orientated part of the plot is superb, as a large and complex reality emerges. This is a world in which time travel is a criminal offence that will get you executed if you don’t have the right paperwork. This is a world where the skies hum with many different kinds of craft, and the scope for adventure, and misadventure, is vast. I have one fairly small niggle over the level of description and technical information – this however is mostly a matter of personal taste. I know for some steampunk readers, the details of dress and technology are really what makes the genre, so for some people this is going to be a distinct asset, not an irritation. Less description would have been more, for me. 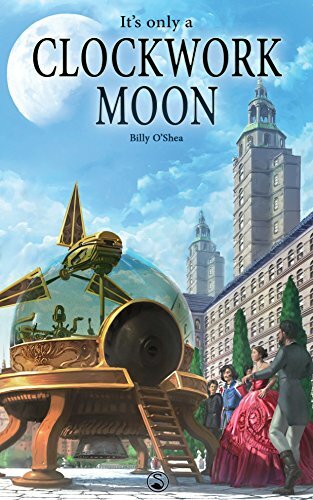 What really made this book for me, was the startlement of getting a little way in and going “Hang on, I KNOW THIS PERSON!” I’ve since discovered that the author is in the habit of recruiting real life Steampunks into his fiction, which adds a really interesting extra dimension, to my mind. I also really appreciated that this is a story whose main characters all come from the back alleys and slums, and who are not enchanted by the great colonial, industrial machine, nor are they profiting much from it – well – smuggling aside! There’s an explicit critique of the ways those in power see and treat the masses, and plenty of real life relevance in that mix. On the whole, a charming and entertaining read with the potential to develop into a really good series. I’ll be looking out for the next one. 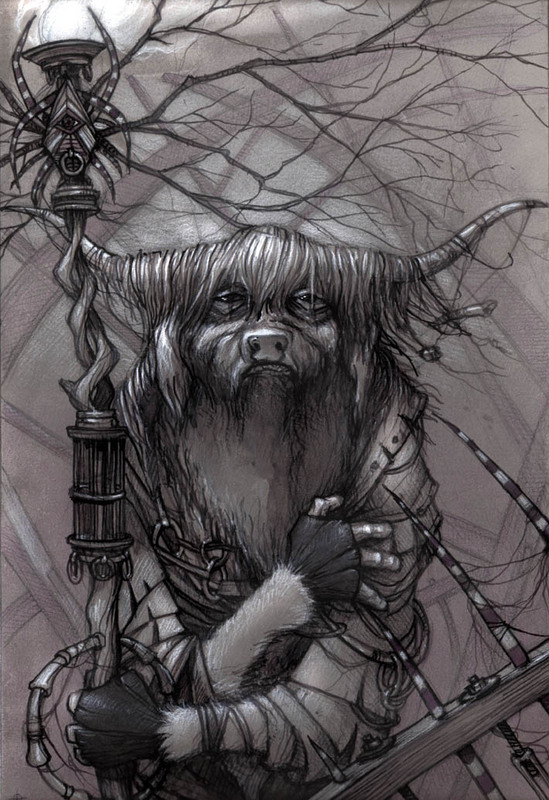 Mathew McCall’s The Dandelion Farmer is an extraordinary piece of steampunk writing. It’s set on Mars in the 1800s (there are reasons, but they are a fair way into the book, so, no spoilers). So we have steam trains, guns, airships, and telegrams, in what would more normally be a high tech, futuristic kind of setup if you’re used to reading sci-fi. Retro-Mars is dealing with all the issues of empire and colonialism that beset the Victorian era. Exploring those issues in such an imaginary context is brilliant because it allows the author to raise issues and express the breadth of attitudes – from the abhorrent to the enlightened – without it being too uncomfortable. There’s a definite wild west vibe when the book opens. An unscrupulous man is trying to make a land grab, and sends thugs to terrorise a farming family – the dandelion farmer of the title. The dandelions are being farmed for biofuel. Gun fights, chases, corruption and heroism duly ensue. From there we get into unravelling the back story of Mars, seen from various perspectives. The plot moves forward around a quest to make touch with the apparently vanished Aresian people. There’s a fine example of the kind of thinking going on in this book. People who have come from Earth to colonise Mars, are Martians. To distinguish them from original peoples, the former inhabitants are called Aresians, for Ares, the older god associated with the planet. Earth people are Tellurians. However at the outset there are a lot of names for groups of sentient beings and there’s a lot of fun to be had figuring out, who exactly, is what. The narrative emerges from ephemera – reports, telegrams, letters, diaries, text books. It means the story is told through multiple voices, and I found those voices consistent, identifiable and engaging. The possible downside is that often you see the same events two or three times from different angles. Either you’ll love this, or you won’t. I really enjoy the way characters emerge in this process, and doubt over what, precisely happened at key moments, can develop from the differences. The politics are really interesting. 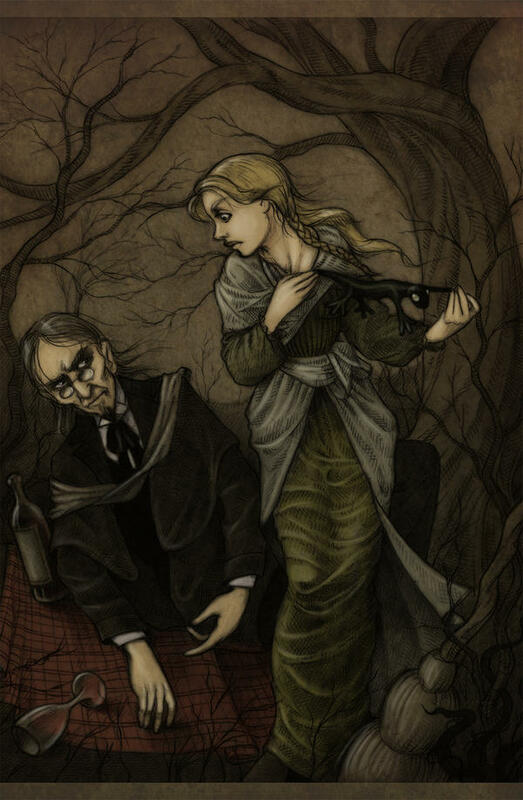 There are female characters trapped in Victorian standards and modes of behaviour. There are also female characters striking out and breaking the rules and finding varying levels of support for doing so. While most of the main characters have titles, there’s plenty of attention drawn to the poverty and exploitation that goes alongside colonialism and empire building. There’s also an underlying theme about corporate power that speaks to modern issues and pulls no punches in doing so. The author asks explicitly what happens when democracy is for sale to the capitalist with the most money, and the real-world parallels are obvious. In terms of world building, this book is vast and epic, setting up for what I hope is going to be a series. 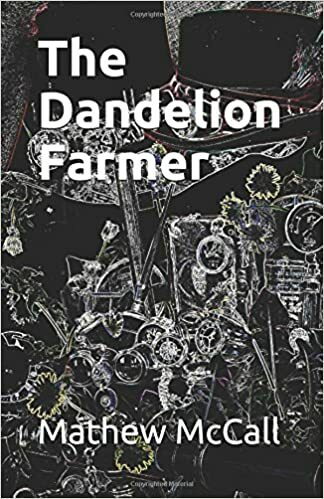 It stands alone, but certainly left me wanting a lot more, because I was so fascinated by what happens in The Dandelion Farmer. I want to know what happens to these characters. I’m an occasional sci-fi reader, and it felt to me as though Matt has read every book imagining Mars and somehow distilled it all down into this uber-text. As though all other writers had glimpsed facets, and he’s somehow seen the whole. It’s impressive. This is a Mars unlike any I’ve seen before (I haven’t read everything, mind) yet it seems familiar. The book is full of nods to other writings, some of which I laughed over when I realised what they were. It’s clever, funny, knowing, and rewarding. On top of that, the book explores questions about what it means to be alive, to be human, to be not-human. No answers are offered at this stage and these, I suspect, will be key issues in future books. Seeming superficial doesn’t make something superficial. It’s only by looking more carefully at what something does that we can work out how to value it, and that valuing is itself a subjective process. If something is superficial, it changes nothing. There are no significant consequences. Of course how we spend our money has massive implications, so a Pagan who is all about the bling may be contributing to the Pagan economy by supporting original creators and makers. Equally they might be buying cheap tat, made by slave labour and thrown away too soon. Here are spiritual implications for superficial practices. It is good to play, to mess about, have a laugh and do things for the sheer pleasure of it. That can look silly from the outside, but for the goth decked up to the nines, it can be a matter of soul and emotional expression that gets them through the days when they are obliged to tone down, fit in and seem normal. There’s a lot of creativity involved in dressing outlandishly, and the bard path is all about creativity. How we look has as much potential to be a meaningful art form as any other art form. Too much seriousness can make us stuffy, egotistical, self important and anally retentive. It’s good to be able to muck about, to be able to risk other people not taking you seriously. There are deeper layers to this, too. Visually manifesting your identity can help people feel a sense of belonging. It’s good to look around and know that, just for a little while, you are with ‘your people’. Be that a comics con full of folk cosplaying superheroes, a steampunk event full of hats, a Pagan gathering full of cloaks or anything else of that ilk. These things can affirm our sense of belonging. For many of us, day to day life is short on that kind of affirmation, some time on the inside of a group can be powerful. Apparently silly things can have the power to transform people. I note from steampunk gatherings that people are empowered, encouraged and inspired by the experience and this often has consequences long after the event is over. These kinds of activities open the door to friendships, explorations, creativity, feeling able to make yourself seen and heard in other contexts. On the whole, I think one of the most superficial things we can do is Pagans is waste our time putting down other people based on the surface we’ve seen. All that can do is make someone else a bit sad, or a bit angry for a while. Perhaps the person doing it gets a brief hit from being smug and superior, but if that’s where you go to feel powerful, you really have issues with a lack of power that won’t be dealt with knocking other people down. One of the things I love about Steampunks is the number of people who are full on doing the thing they love without apology. Many of the people I’ll see in Lincoln over the weekend will be playing at being something they aren’t, whether that’s with extraordinary costumes, membership of some fictional team (like The Mars Expeditionary Force), tea duellers, leather batpersons…. there will be a lot of happy messing about. Alongside that, there will be a lot of people who are being who they really are. Makers, creators, musicians, performers, costumers, tea duellers, leather batpersons. I have yet to figure out quite what it is about Steampunk spaces that allows people to deselect the mute button and let all the glorious passionate madness out into the world, but it does. No doubt this is a big part of why I feel so secure and at home in these spaces. Most of the time, the expectation is that we will dress in bland, sensible, unimaginative ways to blend in with all the bland people around us. We’ll keep our obsessions to ourselves. We certainly won’t paint nerf guns to look like brass and carry them in the street in case of zombie bankrobbers. Most of the time, we won’t let ourselves love anything enough to let it come pouring out into the world as some large and dramatic wave. But this weekend there will probably be jetpack races, and it takes a lot of love to build a jetpack and then run with it in a public place on a warm summer’s day. This weekend the odds are I will laugh loudly, hug fiercely, share without hesitation, dress outlandishly, and move confidently. For a few days, I won’t be awkward in my body because this is a space where I know I won’t be fat shamed, or ridiculed for any aspect of my appearance. I’m going to sing loudly too (on Monday morning at the Cathedral Centre) and talk about the project I love (Saturday afternoon 3pm, also Cathedral Centre). And when I come back next week, I will wonder, as I wonder every year, why more spaces can’t be like this. 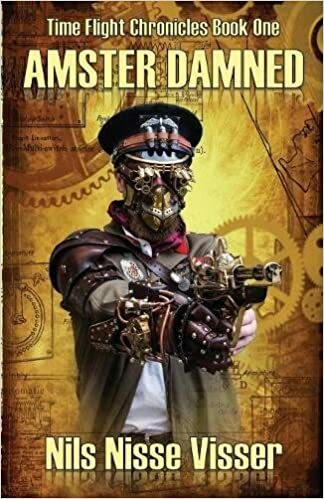 Craig Hallam’s The Adventures of Alan Shaw is in many ways everything a person might expect from a steampunk novel. Set in something much like Victorian London, there’s lots of anachronistic technology – the monorail, dirigibles, automatons, some with ‘Babbage inside’ (I giggled about that, and about many other things). There’s also magic, crime, an inevitable event at The Great Exhibition, and a freak show. However, it is the ways in which Craig pushes out from those steampunk standards into unusual territory that makes this book such a good read. Alan Shaw is a series of short stories, in chronological order. In many ways it functions like a novel, there are story threads that weave the tales together but each adventure is also a standalone. The main character is unusual because he’s a pauper. Steampunk can be a bit too fond of titles for my liking, so I really enjoyed seeing a proper filthy urchin taking the lead. At 11, young Mr Shaw is as dirty as he is disreputable. He’s also trying not to starve or freeze to death in a London that does not treat orphans kindly. Although rescued from his sordid beginnings, Alan Shaw does not transform, Cinderella style into a handsome prince. He remains a misfit, no longer really working class, certainly not a proper fit for high society. He’s a young man with something to prove, and precious little sense when it comes to proving it. There are all kinds of social issues laced through the adventures, and this is done with a light touch so it never feels like a lecture. Issues of what moral choices look like when you’re starving. Issues of class, and how society still works even now, advantaging some and crushing others. This is a London in which menial jobs are going to automatons. What are the poor to do? No answers are offered, but it parallels our own loss of employment to cheaper labour from machines. There’s some good subversion of gender norms, as well. Colonialism is a big issue for anyone interested in reclaiming bits of Victorian spirit. I greatly appreciated the way in which Craig tackled this head on, with the final story of the book set in India. He manages the delicate balance of exploring some of the Victorian colonial mindset without ever letting the reader feel comfortable with it. The book is laced through with humour, and written with considerable style. Craig has a real knack for working out which sense to draw on to convey a scene quickly. As a person whose thinking isn’t mostly visual, I appreciated having smells, sound and sensation as part of the descriptive mix. Plots bound along at a cheerful pace, characters are always rounded enough to engage, disaster is narrowly avoided. If you want to balance wild escapism with the option of dwelling on the implications, this is a very good read. Last year at Asylum in Lincoln (biggest steampunk gathering in the UK) I spent quite a lot of time stood outside a venue being the signpost, because there wasn’t a sign, and one was needed. While I was doing that, another author at the event asked how on earth I’d ended up doing that. I said I’d offered. This year I’ll be co-running that venue, and Tom and I have had the honour of putting together a team of authors for the event as a whole. How did we end up doing that? Well, in no small part because we are the kinds of people who pile in and do what needs doing. It’s not about the money, or the glory. Ok, it is a bit about the glory. We were keen to jump in because we want to change what happens around ‘literature’ at steampunk events. Tom and I will not be touring venues across the weekend as part of the author team, we’ll be looking after the Cathedral Centre/Steampunk embassy. If you’re in town, come and find us, it’s not a big building. It would be fair to say that as things stand, ‘literature’ is not something most steampunks are that excited about, and with good reason. It’s not the sort of thing you can easily engage with when there’s loads going on. It doesn’t grab your attention like art or music, or clothes or devices or just about anything else at a steampunk event. If you aren’t already into an author, you may not be even slightly excited about hearing them read, and you don’t want to go to a talk about how they self published their first novel, and if you don’t write, the standard fayre of talks about how to write books may not appeal. And then there’s the room of gloom – I’ve seen these at too many events and not just steampunk ones. Tables full of books behind which mournful and obscure authors sit in puddles of grumpy entitlement wondering where all their adoring fans have got to. Of course that’s not steampunk writing, or steampunk books as a whole, and even in the rooms of gloom there are always people worth meeting. This year, Asylum has taken a radical new approach to how it deals with authors. With that as our underpinning, Tom and I have done a number of things to further change what happens. We’ve brought in more comics people – because unlike books, comics are easy to engage with quickly. We’ve brought in authors who are great performers, we’ve got all kinds of drawing workshops on the go, and the talks are full of ideas and interesting concepts. Around the authors we’ve lured an array of fascinating folk to come and do their thing at the cathedral centre, and I think it’s going to be a really interesting space. 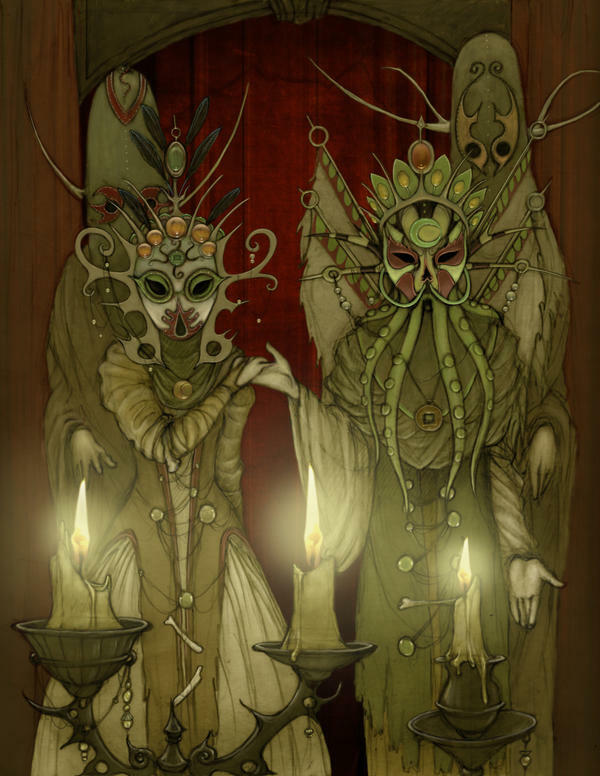 We will be doing some Hopeless Maine stuff – we’re using it as a recruitment opportunity for The Hopeless Vendetta (if you feel a sudden urge to be recruited, comment below!) 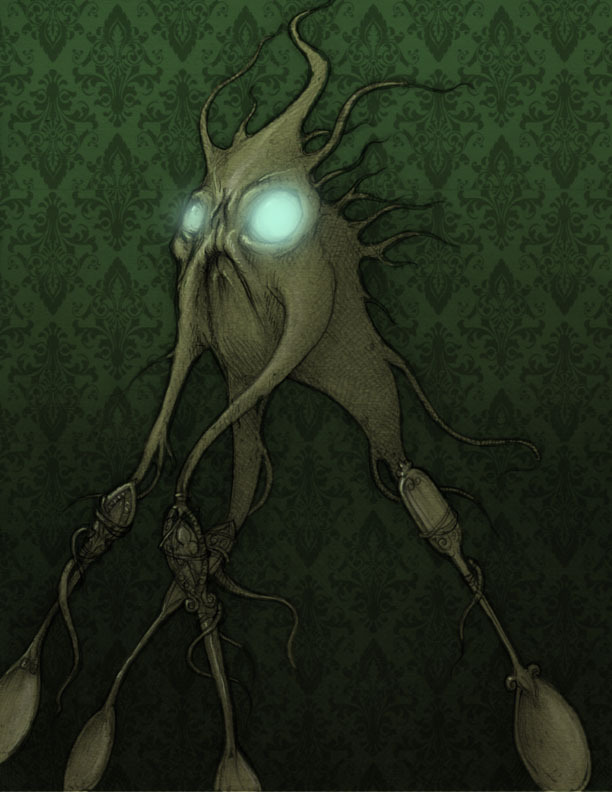 and we’re taking out a show called Songs from a Strange Island – a mix of material written for the Hopeless Maine project, (like the Hopeless shanty) and things that inspire us (gloomy and magical folk music for the greater part). I know we’re not alone in wanting to see things change around books and book events. I’ve been having all the same conversations with the people running Stroud Book Festival as I’ve had with many people on the steampunk side. ‘Literature’ turns people off, and often what happens under that banner is dull and self-congratulatory. I want to see more spoken word content. I want to see authors stepping up to entertain and engage people. I want to be talking about books, comics, fat comics, ephemera, writing, and creativity. I want things people can join in with, not the literary on one side and the audience on the other.